When it comes to comfort foods, a plateful of pasta is all you need. With carbs, cheese and some fragrant seasoning, there’s little that can go wrong with this combination. Almost every restaurant serves it, done different ways, but eating out every time you’re craving some pasta is neither healthy nor economical. If one were to break it down, the appeal of a steaming plate of pasta hinges largely on the sauce. And if you’re going to bring your love for pasta to your kitchen, it makes sense to know basic sauces like the back of your hand. Make sure you have fresh garlic at hand – none of that store bought paste will do – as well as good quality olive oil, to really bring out the flavours of the ingredients and make your sauce as perfect as you can. Once you’ve mastered the base recipes, you can get creative with veggies, meats, spices and a whole lot of ingredients to rustle up drool-worthy pasta for dinner or a liesurely weekend lunch. Literally translated to “angry sauce” in Italian, the sauce derives its name from the hot chilli peppers used in the traditional recipe. Tomatoes, garlic, chilli flakes or powder are all you need to make arrabiatta sauce. While pepper is a common seasoning, flavouring the sauce with thyme, oregano and rosemary helps enhance the flavour and aroma. If you’re making the sauce in bulk, make sure to cool well and store in a clean glass jar – it will keep for several weeks on end in the fridge. 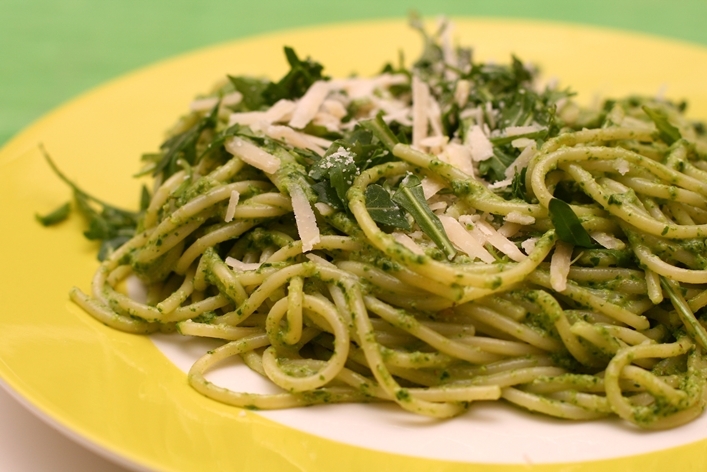 Also known as pesto alla genovese, the sauce traces its origins to Genoa in Italy. The name for the sauce is derived from the verb pestâ, which means to pound or crush, referring to the tradtional method of preparing the sauce by crushing basil leaves in a mortar and pestle. Fresh basil leaves are a must, as is Parmesan cheese and a good amount of olive oil. The tradtional recipe uses pine nuts, which gives the sauce its characteristic rich, nutty flavour. As pine nuts are not easily available in India, these can be substituted with walnuts, or you can make your pesto without any nuts, as shown in the recipe. Mix with spaghetti or spread on toasted bread or crackers for a delicious pesto crostini to snack on. One of the simplest sauces in Italian cooking, bechamel sauce has now become the cornerstone of French cooking. The trick to making a smooth, beautifully lush bechamel sauce is in the roux – flour and butter mixed in equal parts. Stirring continously is also essential, as it will prevent any lumps from forming and ruining the consistency of your sauce. You can toss up some farfalle or penne pasta in your bechamel sauce or use it in baked pasta dishes, for a more indulgent meal. Have you heard about VizEat, an Airbnb for foodies?